Our Grandfathers’ Grain Elevators is a collaboration between Ronald Ahrens and Kristen Osborn Cart. Our grandfathers built mid-20th-century grain elevators in North America. That means they used concrete. We’re out to document their production. For example, here’s a Tillotson Construction Company elevator, photo by Kristen on November 27, 2011. My dad Darrell Greenlee worked for Johnson Construction co Salina KS & built several of these elevators in the midwest. we are trying to locate some of them too. There are several of the Johnson and Johnson Sampson elevators that we have identified, while visiting some of the Tillotson elevators. One, which I saw a few days ago, was the old straight-up elevator at Page City, Kansas. I would gladly share the pictures of it that I took, and I can look through my files and see which of the others Gary Rich and I have found. It is fun to research these things. Very interesting. I am trying to find out information about my grandpa’s elevator building in Nebraska. He worked for Pocahontas (IA) ready-mix in the 50s and I believe he helped with the grain elevators in Wahoo, Kearney and Grand Island. Do you have any idea where I can go for info?? It seems that we are on a similar quest, and the answers are not always easy. I do know that the elevator in Wahoo was built by Tillotson Construction of Omaha, Nebraska. That elevator is still in use under private ownership, and at the moment is full of corn. The Pocahontas elevator was also a Tillotson job. I wonder if your grandfather was involved with that job also? You can try the offices of the elevator operators at the locations you mention. Because the jobs were done so long ago, much of the documentation has disappeared for most of the elevators. But sometimes you can find someone who remembers. The only other place that seems to have much information about the builders is the Farmers Elevator Guide, a publication of the cooperative, which is available at the University of Nebraska, at the Agriculture College campus in Lincoln, as well as a few other places. It is not available on line, though limited on line searches may show that your grandfather’s company is mentioned in a certain volume of the guide. You can do newspaper searches and you might find ads or other mentions for your grandfather’s company. And old Pocahontas newspapers probably will turn up something–you may even find mentions of your grandfather. I wish you luck, and if I find something I will be sure to post it here. I have not forgotten your request to find more information about Grand Island’s elevator. It may take a visit, and that will be sometime later this year. I looked at all of the online resources I could think of, and the answer to your question proved hard to find. I will keep your inquiry in mind and let you know the moment I find anything more about your father’s work. This is amazing! I broke out in such a big smile when I found this blog. My father did feed and grain equipment repair throughout Colorado, Nebraska, and Kansas, so I bet he’s been to many of these sites. I can’t wait to explore your site and share it with him. Thank you for your nice comments. It has been such a pleasant surprise to meet people like yourself, who have a connection to this business, through this blog. Grain elevators salt the landscape as you go through farm country, and you pass them without comment–unless you are involved with them. People who work with elevators have an enthusiasm for their work. What makes the job so great? It would be neat to talk with your dad and find out. My grandfather was in the elevator maintenance and repair business after he stopped building elevators. I’ll bet he and your dad could have swapped stories. Then he got tired of being on the road all the time, and he settled down with a tropical fish business out of his home. But he still could look at his handiwork with pride every time he passed one of his elevators. Thank you again for stopping by. You are very welcome! We would very much like to share more of your stories on the blog. We will be in touch by email, and for some reason if you don’t hear from Ronald, check to see if his email went to spam. He is very interested in talking with you about your dad’s companies. 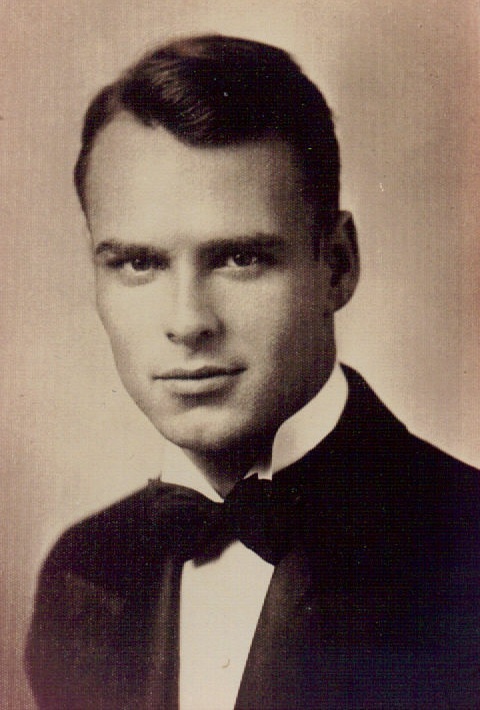 The Tillotson Construction Company was the place where my grandfather William Osborn started his career also, and he eventually went out on his own with a partner, Eugene Mayer, forming Mayer-Osborn Construction Company out of Denver. I am sure many of the people in your father’s company and my grandfather’s company were well acquainted–in fact, many of their projects are very similar. It would be fascinating to know who actually designed the elevators for both companies. We would love to see old pictures, plans and written materials if you have them. Perhaps we can solve some mysteries that have persisted about the relationships between the builders, their work, and the elevators that still dot the landscape under the Johnson and Mayer-Osborn names. Thank you so much for commenting on the blog. We look forward to learning more about your dad’s work and career. My father was involved with the design and construction of grain elevators. I visited one with him as a young boy in Fort Morgan, Colorado I believe. It was for sugar beets. Thank you for visiting our blog! I hope you visit often, and if you care to share some of your father’s elevator stories, we would love to hear them. Your father was in such a unique profession, creating buildings that could last well beyond one lifetime. I admire his work. My father, George T Christensen worked for Tillotson from 1948 or 49 until his death in 1955 in Boxholm, Iowa. Do you have any records about what elevators he worked on? We get new information all the time about the elevators and the employees. We are developing a time line for the elevators built by Tillotson Construction of Omaha based upon some of the original company documents, and will be posting about our discoveries in the near future. While the documentation may or may not mention the employees by name, it will list the projects that were completed during the time your father worked there. We will be on the lookout for information about your father. My father, George T Christensen, was the “upstairs foreman” for the Tillotson slip form elevator construction company. He was in charge of all the above ground construction. He would ride up to the top in a bucket hoisted up the side. I’ve been told that in Delhart, Texas I walked across a small bridge between two elevators with him and had no fear. I don’t remember it. My grandparents and I visited him several times at jobs in Storm Lake, Bancroft, Glidden (repairs), and Boxholm, all in Iowa. He took his parents and me to the top of one of the elevators for a look around. My grandfather pretended to push me and I had the fear from then on. I think Dad’s friend, Jay Wiser, may have been the “downstairs foreman” in charge of the underground structure and mechanicals. Dad died just after finishing the elevator in Boxholm. We have recently found documentation for many Tillotson elevators among company papers that the Tillotson heirs still held. Delhart, Texas was a site where Tillotson Construction repeatedly built. All over the Texas panhandle you will find Tillotson elevators and annexes, in many of the little towns. Our list of elevators is not complete, but we found over 125 concrete projects they built all over the country over 15-20 years. It is just fantastic to hear from you and others who witnessed the process. An elevator can be a destination for its own sake. Once you discover them, elevators are hard to pass by without checking them out. It sounds like you had a fantastic trip! Thanks for stopping by. That was David, the youngest. And the car was a Buick, no doubt! And you probably remember the little green trailer that the family lived in until Boxholm. How long did you work for Tillitson? That’s pretty close except the Buick was black (I’d attach a photo if possible). Terry, Sue, and David are all living twenty or thirty miles west of the Moore, Oklahoma tornado. Ruby lives with Terry and is still going strong (at 96) though her hearing is getting poor. I talk to them on the phone now and then, but haven’t seen them for 13 or 14 years. Terry is on this site too, and should remember you. Terry is parts manager at a Chevy dealership, Sue is a mail carrier, and David is a fertilizer plant operator and preacher.They all have kids and grandkids. I was from Dad’s first marriage and lived with my grandparents in Scranton Iowa. My grandfather was Oliver Horner and was half of Horner and Wyatt who designed grain elevators. 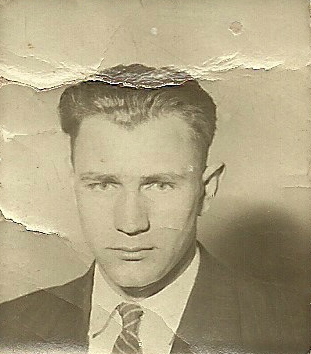 My grandfather died in 1937. I have always wondered how I could find out where the elevators are and if they still exist, or if any blueprints exist. The only one I know about was in Galveston TX and was demolished a few years back (http://www.implosionworld.com/galvestonbftp.htm). If you woul dbe willing to share any tips for research or have any information about Horner and Wyatt grain elevators you would make me very happy. Thank you, I am enjoying your website! Thanks for getting in touch. I don’t think we’ve heard of Horner and Wyatt until now. But we are glad to know about them. We’re all part of the same community. Give us a shout if you learn anything, and we will do the same. There are a few resources you can try, and I would suggest before you pay for a site, try to get access at a library. There are several websites that archive old newspapers. 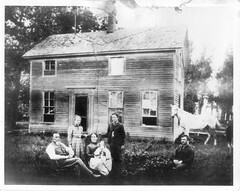 (Newspapers.com, Newspaperarchive.com, and some free sites like fultonhistory.com) They are a good starting spot where you can search using the company name. The old Farmers Elevator Guide profiled a number of builders and included company ads, and you can find the nearest copy of it in a library on the Worldcat.org website. 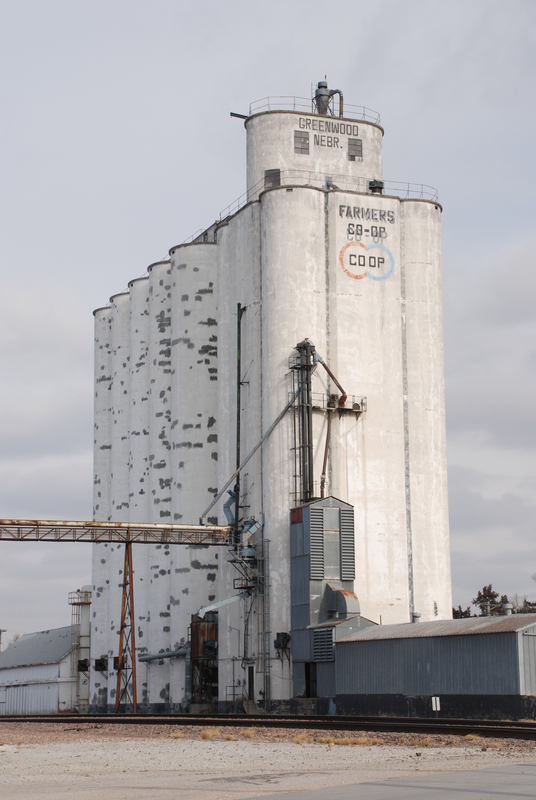 The Farmers Elevator Guide is a fairly inaccessible resource, but some issues are online. Since your grandfather died so long ago, it may be difficult to find family members who remember some of the sites. But anyone you can think of who might have information about it should be asked. You are starting out on the same quest that motivated me in the beginning. I wish you the best with your search, and anything I find I will post here. I will look into the sites you suggested. Thank you. Our newest post will give you some of the locations that your grandfather’s company designed. I can also send you more information about your grandfather’s career, if you wish. He was a very interesting man. I would be happy for any information you can guide me to. What post are you referring to? Thank you for responding. My dad (Rolland Grage) worked for Cargill Incorperated in Emmetsburg, IA for about 26 years. He spent 16 years as manager. I watched the new elevator being contructed but the second oldest #2 still exists and is used though it is a victim of years of paint. It was built be a company called IE Iberson or TE Iberson. The newer elevator was built by Todd and Sargent. Do you have any examples of these? The oldest #3 has since been demolished and burnt. It was a wood elevator and the addition to it was one of the first cement elevators with a galvanized steel exoskelton (furing strips) If you contact me via private email I will share all I remember via phone. Thanks. It is wonderful to read about the Tillotson Co. background. I’m 86 and spent a life time in the industry, working in the engineering dept. of Chalmers & Borton (now Borton Inc.) one of their competitors. While I never met Mr. Tillotson or Osborn I am very aware of who they are. Over the years I had occasion to be inside of a number of the facilities they built. The article brings back wonderful memories and brings to mind a lot of other names connected with the business. Younglove Construction: Sioux City IA. Ryan Construction: Sioux City IA. There were a number of others whom I have left out for lack of recall. But for sure, Tillotson was one of the pioneers of elevator building. Thank you for sharing your memories. Dad said whatever they did, his dad’s company, Mayer-Osborn, was always looking out for Chalmers & Borton, their “biggest competitor.” I have had the privilege of seeing one of your elevators up close at American Falls, Idaho. What is so amazing is the fact that these old elevators are still operating as they always have, which is a testament to the men like yourself who designed and built them. You are to be congratulated. It’s refreshing to find a site where the work of ancestors is remembered and preserved for history. I’m into year 11 of collecting the history of a company that quarried stone and built barges and ships for World War II on the shore of Lake Ontario, dealing with family that only remembers Grampa left them a lot of money, and little interest in what he accomplished and how. If there are pictures of the concrete equipment used in the building of elevators and the process in the early days it would be most helpful if they are posted before they become lost forever. Thanks, Franz. We do keep looking for the next photo archive. And our blogging has stimulated quite a lot of interest within the family. Many had no idea of our grandfathers’ accomplishments.